Wow, Mobile World Congress really heated up today with a boom of new devices getting unveiled from all sorts of places. We started the day with a bunch of colorful new Nokia Lumia Windows Phone 8 smartphones and ended it with the first device with Qualcomm’s most capable Snapdragon 800 processor. We didn’t get to see Nokia’s rumored EOS, a Windows Phone with a 808-like PureView camera capabilities, but Nokia’s chief executive Stephen Elop did stress a couple of times there is more to come in 2013. Among the Nokia launches, we should say that the Lumia 720 is the phone with the widest aperture we’ve ever seen - and that means a lot for low-light photography. Asus also kept us entertained with their own tech illusionist and the always cheerful stage-loving Jonney Shih with his funny English. Asus brought a brand new Padfone, a phone that docks into a tablet station, and unveiled an Intel-based 7-inch tablet that has phone functions. And of course we saw more Firefox OS phones, an endless ocean of Android devices, and all sorts of stuff. If you don’t want to feel like you missed out, take a look below - we’ve rounded them all up here. Feb 25, 2013, 7:17 AM, by Alan F.
Feb 25, 2013, 2:10 AM, by Victor H.
Feb 25, 2013, 2:24 AM, by Daniel P.
Feb 25, 2013, 2:18 AM, by Victor H.
Feb 25, 2013, 1:58 AM, by Daniel P.
Feb 25, 2013, 7:03 AM, by Victor H.
Feb 25, 2013, 6:42 AM, by Daniel P.
Feb 25, 2013, 7:46 AM, by Daniel P.
Feb 25, 2013, 7:43 AM, by Victor H.
Feb 25, 2013, 3:39 AM, by Maxwell R.
Feb 25, 2013, 11:53 AM, by Ray S.
Feb 25, 2013, 11:49 AM, by Nick T.
Feb 25, 2013, 11:26 AM, by Nick T.
Feb 25, 2013, 11:55 AM, by Michael H.
Feb 24, 2013, 10:00 PM, by Alan F.
Feb 24, 2013, 12:19 PM, by Victor H.
Feb 24, 2013, 12:04 PM, by Victor H.
Feb 25, 2013, 11:27 AM, by Daniel P.
Feb 25, 2013, 3:04 AM, by Victor H.
Feb 25, 2013, 2:59 AM, by Daniel P.
These shows are always letdowns now that all the flagships have their own announcements. Just a bunch of Chinese phones and low end Nokias. 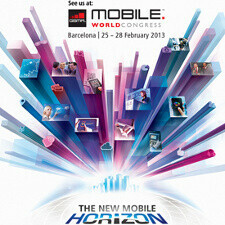 Maybe PA should put up a poll for most under-whelming press event at MWC 2013? My vote would be for Nokia. It wasn't underwhelming if you went in with no expectations. If anything, it's encouraging, because it reaffirms their commitment to dominating the low- and mid-range markets. I was hopeful for a new flagship, but I was extremely skeptical of its likelihood, with the 920 only being out since November and Windows8 not having any known updates that would allow for camera sensors bigger than 16MP. So many Android OEM and devices! Who will survive? Regarding Nokia, don't be disappointed no high end stuff. Blame on tech rumors. Though we surely will see more in the later months. Regarding Chinese phones, what do you expect. The only Android OEMs out there are from Asia. But the 'Chinese phones' are all mid range at most and will never reach America. (besides maybe prepaid). That's not interesting or exciting. Well, it's Mobile WORLD Congress, not Mobile America Congress. We already had CES. More often than not, America isn't included with "world" (aka global or international) products. True for cars, too.